We’d love your help. 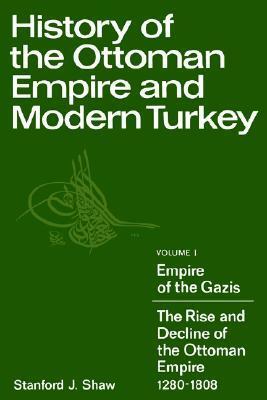 Let us know what’s wrong with this preview of History of the Ottoman Empire and Modern Turkey by Stanford J. Shaw. To ask other readers questions about History of the Ottoman Empire and Modern Turkey, please sign up. American historian, best known for his works on the late Ottoman Empire, Turkish Jews, and the early Turkish Republic. Shaw and his Turkish wife Ezel Kural deny that there was an genocide of Armenians, and claim that the Armenians just were removed from the war zone along the Russian border. Shaw nowadays teaches at the private Bilkent University in Turkey.